The Duty Holster for TASER Advanced M26c features a thumb break, belt clip and belt loop for right and left hand use. 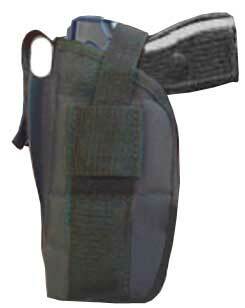 This holster features three unique types of padding that have been fused together to provide the ultimate comfort, fit and protection. Due to the custom flat design of this quality holster, your M26c will not experience the "rocking effect" that some holsters allow for larger pistols. This quality duty holster is primarily intended for law enforcement, but can be a practical application for security guards, fugitive recovery and regular citizen use as well. 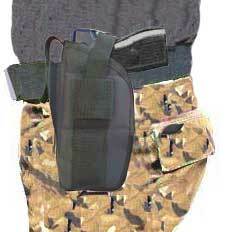 Please note that this duty holster will only fit the TASER Advanced M26c model. 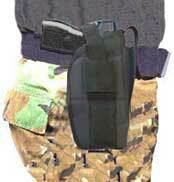 This Duty Holster for TASER Advanced M26c can be delivered in 3 to 5 business days. If you would like to receive your order sooner, guaranteed 3 day, 2 day and next day delivery options are available upon checkout. Orders placed by 2:00 PM central time ship the day they are placed. If you have any questions or concerns call our customer support staff at 800.960.2015 or click the live chat button on the right side of this page. Our courteous and professional customer support team is always glad to help! The Self-Defense Product SuperStore, DefenseProducts101.com is owned and operated by World Net Enterprises, Inc. of Harrison, AR, USA. World Net Enterprises offers over 100,000 products on 8 shopping websites. Your satisfaction is guaranteed when shopping with World Net Enterprises!